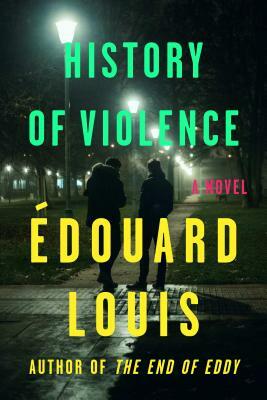 History of Violence is international bestselling French author Edouard Louis’s autobiographical novel about surviving a shocking sexual assault and coping with the post-traumatic stress disorder of its aftermath. On Christmas Eve 2012, in Paris, the novelist Édouard Louis was raped and almost murdered by a man he had just met. This act of violence left Louis shattered; its aftermath made him a stranger to himself and sent him back to the village, the family, and the past he had sworn to leave behind. A bestseller in France, History of Violence is a short nonfiction novel in the tradition of Truman Capote’s In Cold Blood, but with the victim as its subject. Moving seamlessly and hypnotically between past and present, between Louis’s voice and the voice of an imagined narrator, History of Violence has the exactness of a police report and the searching, unflinching curiosity of memoir at its best. It records not only the casual racism and homophobia of French society but also their subtle effects on lovers, brothers and sisters, husbands and wives. It represents a great step forward for a young writer whose acuity, skill, and depth are unmatched by any novelist of his generation, in French or English.